Internships are the perfect way to gain real job experience before you even graduate from the University of Louisville! 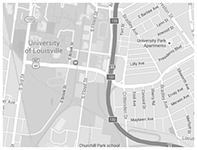 The University of Louisville Career Development Center offers a comprehensive Internship Program designed to help match students with internships and receive academic credit for their experience. Schedule an appointment with the Internship Coordinator to explore your options.